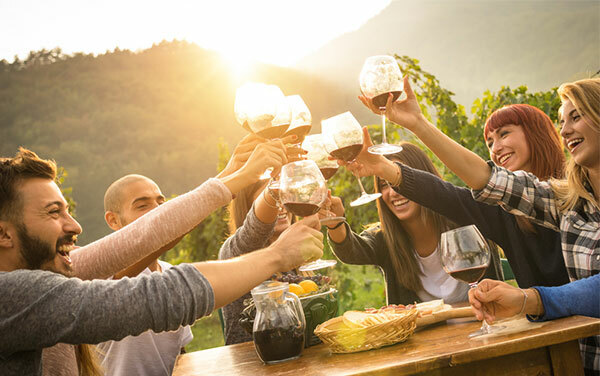 Who doesn’t love venturing to the local winery, sampling a few artisan wines, perhaps indulging in a meal, and soaking up the remarkable scenery? If you’re looking to take a trip to a winery in Canberra or its surrounds, you’ve come to the right place. After conducting a little research and chatting to the locals, we’ve come up with a list of the top three wineries near Canberra. These spectacular sites not only offer some of the finest wines in the region but also make for a delightful day out. Ready to go? Fantastic. Let’s jump right into it. What makes a great winery? Excellent wine. First and foremost, the wine should be fantastic. Whether you like white or red or have no preference at all, you should savour every last sip when you visit a Canberra winery. Picturesque scenery. We all need some time in the great outdoors every now and then. Gorgeous scenery can take a trip to the local winery to a whole new level. A well-stocked bottle shop. If the wine is excellent, you’ll probably want to pick up a bottle or two to take home with you. Local wines also make for thoughtful gifts. A great restaurant or café. Make a day of it and indulge in lunch or dinner – of course, paired with a glass of vino – at the winery’s café or restaurant. Knowledgeable and friendly staff. Whether you’d like a tour of the winery or just have a couple of questions about the manufacturing process, the staff should have the expertise to help. It’s time to plan your next trip to a local Canberra winery. Here are our top picks. Tucked away 30km east of Canberra in the spectacular hills of Wamboin is Contentious Character. This cool-climate winery is surrounded by rolling mountains and snow-capped peaks, and offers some of the finest glasses of wine in the region. With a vibrant calendar of events, a tasty kitchen menu at their on-site restaurant, and plenty of space for weddings and get-togethers, Contentious Character is a must-visit for local Canberra residents and visitors alike. Located just 25km from Canberra’s city centre, the Brindabella Hills vineyard and winery is perched on a scenic ridge about the Murrumbidgee. Surrounded by vibrant hills, the granite soils and cool climate result in the production of premium grapes and spectacular wines. The Brindabella Hills vineyard and winery is open for cellar door tastings on the weekends, and for sales on weekdays. McKellar Ridge is an award-winning boutique winery that produces fine wines that exemplify the revered taste profile of Canberra’s cool-climate region. Established in 2005, this stunning destination was awarded 5-star status by James Halliday in late 2017. Do you regularly visit wineries in the Canberra region? Which is your favourite? Share your thoughts and experiences in the comments section below. Give Peter Slipper a call at Parliament House -he’s checked them all out a few times. A good secret location is Yarrh winery in Murrenbateman – they have live music and tapas on the first Sunday of every month – make sure to book. O’Leary and Collector dont have cellar doors do they? No they don’t. It’s probably worth planning the trip if you’re looking to eat at some point – Lark Hill has a nice restaurant overlooking their very nicely maintained vineyard – it operates on weekends, but, as mentioned, call ahead to make sure. If you like interesting buildings and locations, Yarrh is definitely worth a visit. In some respects this is a good time to visit vineyards as we’re right in the middle of vintage for the region, with a lot of Shiraz coming off in the next week or two, although it also means the winemakers are unlikely to be hanging around the cellar door, and a lot of the vines will be under nets. Best to head out to Murrumbateman or up to the Lake George area, both are a fairly quick drive. Clonakilla (http://www.clonakilla.com.au/), Tim Kirt is a great bloke and loves a chat which is sometimes nice…. Also producing some of the best wines in the world always helps. Mount Majura Wines (http://www.mountmajura.com.au/), nice for something very local and they do an amazing Riesling. Thats just a nice short list, i hope this helps…. Have fun. Clonakilla and Helm definitely the top two. Absolutely Clonakilla – best wine in the region for mine. Their Shiraz Viognier is delicious and their straight Viognier is one of the only white wines I actually like. Tallagandra Hill also product a nice drop and they’re just up the road (along with three or four other notables along Murrumbateman Rd. If you have time also check out Surveyor’s Hill and Mount Majura Vineyard. I quite like Flints in the Vines out at Shaws Vineyard at Murrumbateman, and Lark Hill Winery out Wamboin area. Both have fantastic restaurants with great views, and the wines aren’t bad either. Lerida Wines at Lake George is worth a visit, excellent wines, nice location and the cafe is pretty good. We went out a while ago for my partner’s birthday. When booking them, she found that some only open the cellar door upon request, so it might be a good idea to ring a few of them in advance to let them know you’re coming. I can highly recommend Four Winds. They set up a ‘guess the fragrance’ game for us to play while we did tasting, and offered a tour of the cellars. Brilliant Riesling too! Where to start? There are lots in different directions. Capital Wines down Gundaroo way (with top notch restaurant), Lark Hill down Bungendore way, Lerida Estate down Lake George way and too many to name on the way to Murrumbateman. It depends if you have a lot of time – if so, do a big trip. If not, maybe concentrate on the Murrumbateman wineries (you can do a lot without driving far between each). My picks would probably be Capital Wines and Lerida Estate. Surveyor’s Hill does an amazing dessert wine. If they are here on 6-7 April there is a wine harvest festival. I think http://www.canberrawines.com.au gives you detail of what’s open when and where so you can plan your trip. Generally opening times are weekends from around lunchtime.